Our stay was such an exceptional experience and we hope to be able to return. Riene was the supreme hostess in every aspect of our visit! We had a very nice stay at the Eagle Centre House. If we get back to that area in WI again we would defiantly check to see if Riene has room for us! My daughter and I thoroughly enjoyed our stay. Riene was the perfect hostess in every possible way. We relaxed and found the atmosphere to be completely conducive to that goal! Everything was beautiful. My husband and I recently visited the Eagle Center House B & B and we were delighted by the service & impeccably well maintained home. We felt extremely comfortable & welcome throughout our stay. We went hiking in the southern Kettle Moraine state forest & enjoyed exceptional breakfasts prior to our hikes. We will certainly plan on returning soon to this lovely B & B! Perfect complement to Old World Wisconsin! Riene and Dean are ideal innkeepers. We were greeted by Halloween decorations, perfect in every detail. 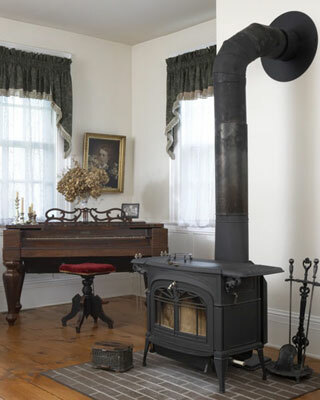 The comfort of the rooms and the beauty of the antiques made it a special stay. Breakfast was delightful. Riene filled us in on the history of the house and provided ideas for dinner and other activities. Memories which will last a lifetime. We enjoyed our stay at the Eagle Centre House very much. Everything was comfortable and clean with wonderful attention to detail. It’s a beautiful setting and we enjoyed a hike through the woods after a delicious breakfast. I plan to recommend this Bed and Breakfast to friends and family. Our stay was fantastic! It was the first time we stayed at a Bed and Breakfast. We stayed in the Master suite and enjoyed the room. The hot tub was amazing after a day of being on our feet all day. The house itself is beautiful and certainly allows you to step back in time with the old, historical decor. Breakfast the next morning was incredibly delicious! We definitely didn’t walk away hungary. We would stay again! Thank you for your wonderful hospitality. Thank you so much we had a very lovely time. Would you like to step into another world? SPECIAL OFFERS . . .
and Eagle Centre House B&B! SAVE up to $34 – on your Greek Holiday Dinner Package and B&B overnight stay plus Admission to Old World Wisconsin, Greek Christmas Dinner Event and more! Packages start at $245. double occupancy, plus tax and 3% service fee. Reservations required . . . we’ll make your Christmas Dinner Event reservations for you. Sunday, December 2nd at 1:30p.m. 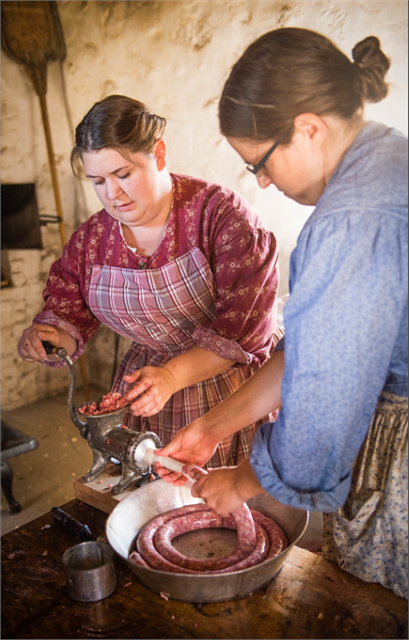 Saturday, December 8th at 4:30 p.m.
Old World Wisconsin Christmas site hours: noon to 4:00 p.m.
A full breakfast is included in your room rate! Spacious bedchambers with choice of whirlpool or standard private bathrooms. Package rates vary with room choice. STAY 2 NIGHTS & RECEIVE THE SPECIAL RATE BOTH NIGHTS. *A non-refundable cancellation policy applies regardless of weather. **Package must be requested when making reservation. Call 262-363-4700 or e-mail info@eagle-house.com for details. Save on a Holiday Getaway – 2018! get 3rd night for $75! Save up to $134! get 3rd night for $50! Save up to $85! THREE NIGHT STAY in a WHIRLPOOL BATH BEDCHAMBER featuring a double whirlpool tub truly large enough for two, separate shower, firelplace and seating area. Candlelight breakfast served in the dining room each morning. THREE NIGHT STAY in a STANDARD Private Bath (with shower) featuring a spacious bedchamber with two beds and seating area. Candlelight breakfast included. A full breakfast is included in the rate! Double occupancy, plus tax, 3% swipe fee if applicable; $25 plus tax for each additional guest. Save $20 on a 1-night stay! Save $50 on a 2 night stay! Choose a Whirlpool or Standard Bath Bedchamber . . .
1-night in a Standard Bath Chamber $119! 1-night in a Whirlpool Chamber $179/$199! 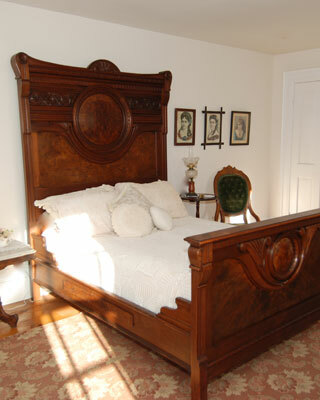 2-nights in a Standard Bath Chamber $228! 2-nights in a Whirlpool Chamber $348/$388! A full breakfast is included in the special rate. $25 plus tax, etc. for each additional guest. Subject to availability. Please special must be requested when making reservation. VALENTINE DAY SPECIAL . . .
SAVE $20 to $30 off the room rate! A romantic, candlelit breakfast is also included! Spacious bedchambers with choice of whirlpool or standard private bathrooms. 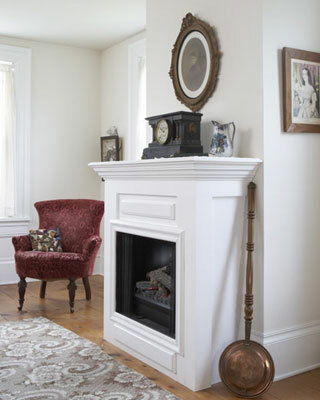 Whirlpool chambers boast fireplaces. **Special must be requested when making your reservation. Subject to availability. Plus tax and 3% swipe fee if applicable. Specials based on double occupancy. One of our most popular workshops, this one will fill up fast! Join us as we make 3 kinds of traditional sausages inspired by Old World recipes. You’ll really see how the sausage gets made – from grinding the meat, to working with natural casings, and creating the perfect spice blend. You will take home approximately 5 lbs of fresh sausage, and recipes to work from in your own kitchen. *Workshop participants can also take advantage of a discounted rate at Eagle House Bed & Breakfast on the dates of their visit! Contact Riene Wells at info@eagle-house.com for details. 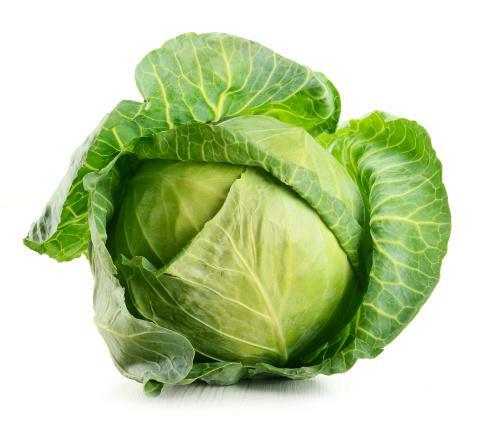 Make your own historic sauerkraut while also learning the science and history behind fermented cabbage around the world! You will taste a variety of different fermented foods like South Korean Kimchi, developing their palate and inspiring future fermentations. At the end of class you take home a jar of your very own sauerkraut-to-be, ready to eat in just a few days. This workshop is perfect for those interested in fermenting their own food or those curious about the science and tradition of this ancient preservation technique. A Great Gift Idea . . . Gift certificates are available in any amount with no additional fees except tax & 3% swipe fee if applicable. for your own table at Breakfast . . .
if you don’t want to share a table and conversation with other guests! please mention when making your reservation. Some two-night minimum stays. *some holidays, gift certificates and other offers excluded. To receive specials, please request package at time of reservation. Some bedchambers require a two-night minimum. All rates plus tax and 3% swipe fee if applicable. "Authenticity is the major word for this B&B. It is beautifully done and leaves no "gaps" in quality.